We manufacture and supply superior quality of Automatic Capsule Loader for Pharma Industry. Our products are highly demanded in market because of their affordable price and high quality. 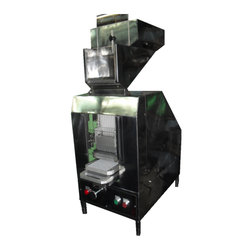 Automatic Capsule Loader for Pharma Industry is used in combination with manually operated capsule filling machine. Capsule is loaded in capsule tray in cap up- body down position automatically (Instead of filling loaded tray manually in filling machine). CCL designed to serve the need of medium and large-scale Pharmaceutical companies. It is easy to operate & maintenance free.